A unique facility, this 14,300 s.f. 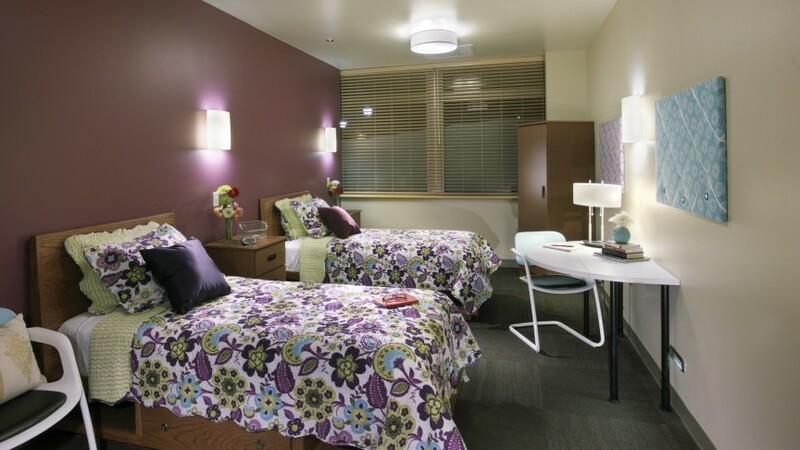 psychiatric hospital was created specifically to offer inpatient medical, psychiatric, and nutritional care to children and adolescents between the ages of 10 and 18. 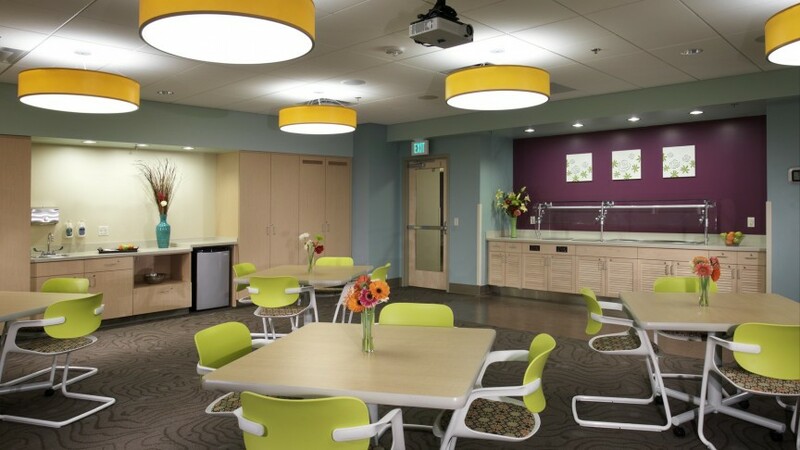 The facility is a renovation of an existing psychiatric hospital, and is outfitted with a community room and several lounge areas, a cafe, a spa-style bathroom, a classroom, and therapy offices. 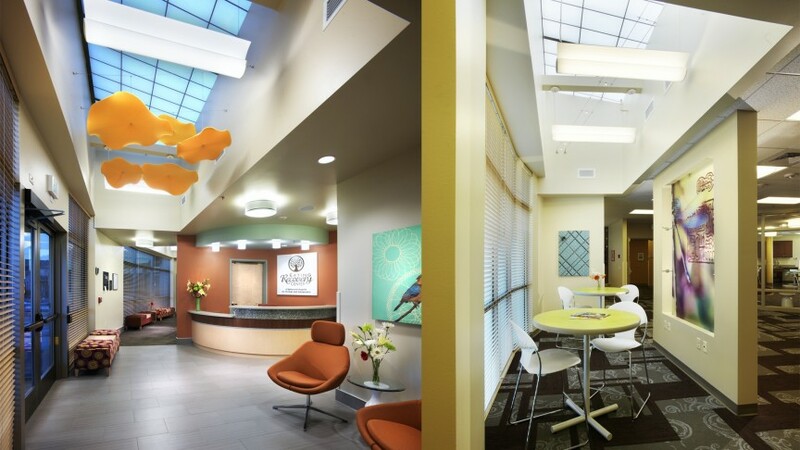 The interior design reinforces the client's unique and comprehensive approach to patient care with brand characteristics incorporated throughout the building. 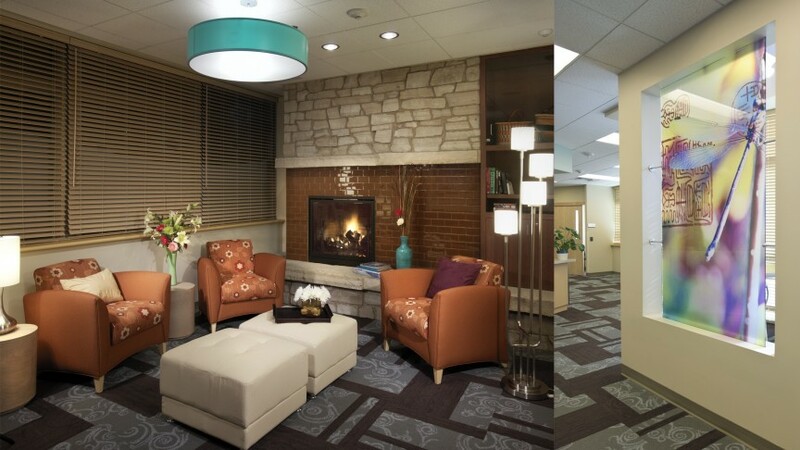 Cozy community areas, comfortable seating, a fireplace, and several art therapy displays in the facility promote a healthy, home-like atmosphere that is conducive to healing. 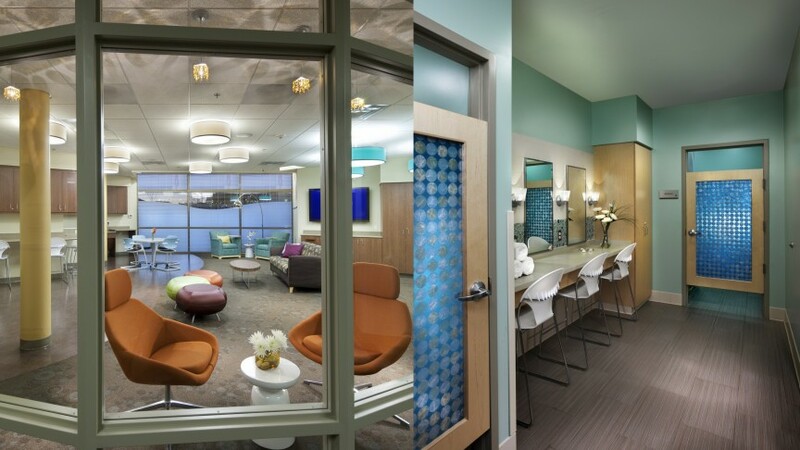 The cheerful, vibrant color palette appeals to the patients and helps to create a welcoming environment.